This sense of Folk art is particularly apparent in Hong’s works but through subverting the previously formed universal significance, the artist evokes humor and confusion. During Hong’s solo-exhibition ‘Boxing Memory’ at Sun Contemporary in 2009, she concentrates on the memory sealed inside the box by questioning the distorted memories which result from individual’s choice. In ‘Number Emblem Series’ Hong introduces ordinary numbers such as 37, 49 in the shape of flowers painted in large scale and aims to infer distinct stories depending on the viewer’s memory. Hong attempts to draw out the individual’s ‘remembered world’ through relocating and recombining the entities that have lost a general meaning and moreover, Hong’s splendid colors and distinctive composition stimulates the viewer’s imagination and evokes a new memory. 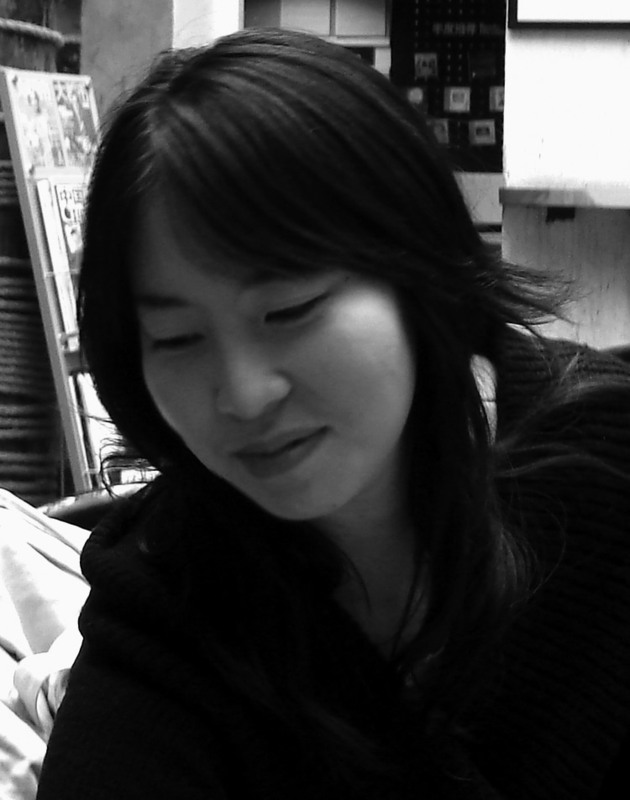 Hong studied painting – both undergraduate and graduate – at Hong-Ik University and has been actively engaging in various art forms such as two-dimensional surface, sculpture, video, stage art and also as an art director of a short film. From 2003, she focuses on painting; her distinct composition with detailed depiction and compelling colors has intrigued many local and international collectors. Moreover, with a modern reinterpretation of a familiar material, Hong has received mass appeal which allowed her works to be employed on a special limited package of LG Life and Health’s collaboration with The History of Who, in 2010. 작가 홍지연은 동양적 소재를 서양화 재료와 기법을 통해 현대적인 감각의 작품으로 재생산하는 작업을 해 왔다. 유년 시절을 유럽, 말레이시아 등지에서 보낸 작가는 정체성 및 자아 탐색의 일환으로 민화(民畵)에 관심을 갖게 되었고 자연스레 민화의 소재는 작업의 주된 주제요소가 되어 왔다. 더불어 일찍이 다문화와 문화의 섞임을 관찰한 작가의 경험이 반영된 그녀의 화폭은 한국적인 요소들과 보편적 시각 장치의 결합으로 다국적 해석이 가능해 ‘팝아트 색면 추상회화’라는 평가를 받았다. 작가는 전해 내려오는 민화의 소재를 자신의 캔버스 위로 빌려 왔지만 이미 형성된 기존의 보편적 상징성과 의미를 전복시켜 보는이의 재치와 당혹감을 자아낸다. 2009년 갤러리 선 컨템포러리의 개인전 ‘포장된 기억 [Boxing Memory]’에서 선보인 작품은 개인의 선택에 따른 왜곡된 기억에 의문을 던지며 상자에 넣어진, 포장된 기억에 집중한다. 전시작 중 37, 49와 같이 무의미 한 듯한 일반적 숫자를 거대한 화폭에 꽃으로 그려 넣은 ‘숫자 엠블렘 시리즈’는 보는 이에 따라 그들의 기억에 기반한 다양한 스토리를 유추해 낸다. 일반적 의미를 상실한 개체들이 작가에 의해 재배치, 재조합 되어 각자의 ‘기억된 세상’을 불러오며 더 나아가 압도적인 원색의 화려한 색감과 독특한 구조는 또 다른 상상을 불러 일으켜 관객의 새로운 기억을 유도한다. 홍익대학교와 동 대학원에서 회화를 전공한 작가는 졸업 후 평면, 입체, 영상, 무대미술, 단편영화 미술감독 등 다양한 분야에서 왕성한 창작 활동을 보여 주었다. 2003년부터는 회화 작업에만 몰두, 그녀만의 독창적 구성과 세밀한 묘사, 강렬한 색감으로. 국내외 많은 미술 관계자들과 컬렉터의 이목을 끌어 왔다. 익숙한 소재의 현대적 재해석으로 대중성까지 겸비한 홍지연의 작품은 2010년 LG생활건강- 더 히스토리오브 후와 콜라보레이션통해 스페셜 리미티드 상품의 패키지에 차용되기도 하였다.